By day, Derik Flanary (below left) is an iOS developer. 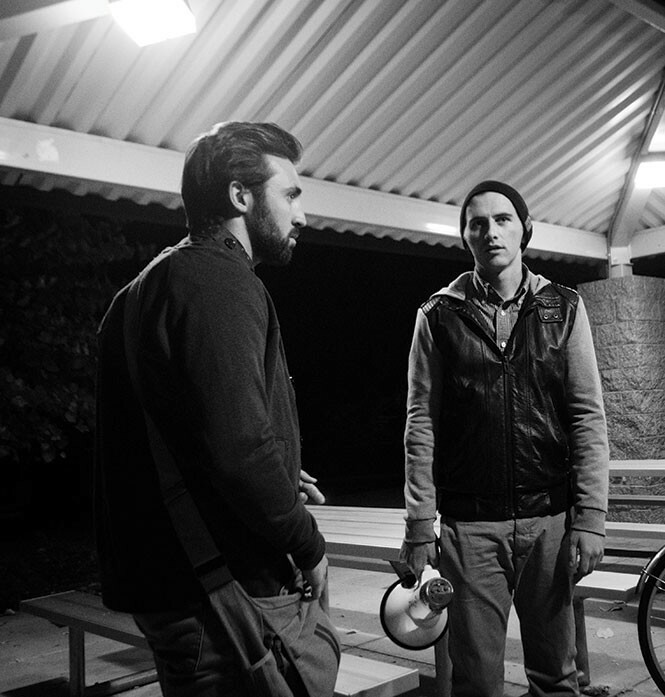 But by night, he guides bicycle tours through Provo, teaching fellow cyclists and paranormal enthusiasts about the surprisingly creepy history of the city with cofounder, Max Orton (below right). In conjunction with Provo Bike Month, the pair will lead a special tour, free of charge, this Friday the 13th starting at Joaquin Park (400 N. 400 East, Provo, 9:30 p.m., Facebook.com/ProvoGhostTours). City Weekly had the chance to chat ghosts and superstition with them before their next tour. 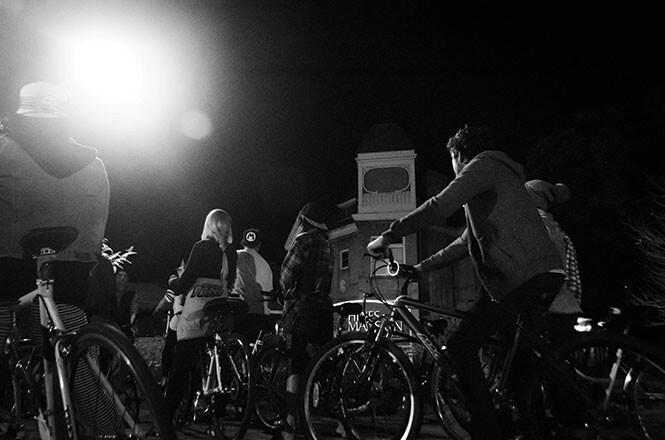 How did Provo Cycling Ghost Tours come to be? Derik Flanary: We started in 2013. We both have always loved riding bikes, especially around Provo. Max, that summer, had just gone on a ghost tour in Salt Lake City and it got him thinking about the history of ghosts in Provo, where we lived. At first we thought it would be a funny idea to just do with friends, if we took them out on a ghost tour of Provo just using bikes. We had so much fun with that, we decided to make the tours a real business and invite the general public to come. We were shocked by the interest and the number of people who showed up that first year and continued to show up in the following years. What are some of the scariest places you've been in Utah? DF: The scariest place Max has been is in the cellar of Ted Bundy's old house in Salt Lake. Some other creepy places we have been is in the cemetery in Alpine, sitting on the Chair of the Dead. Max Orton: American Fork Canyon is incredibly haunted. There have been rumors of devil worship going on up there ever since I was a kid. A few times while camping I saw shadows and felt different spirits move within the trees that were more than just manifestations of my own paranoia. I refuse to drive through that canyon alone now. How do you know so much about ghosts in Provo? DF: We've done extensive research on the history of ghosts and paranormal activity here. We've spent hours digging through cardboard boxes in the archives of the BYU library and researching on the Internet. Each year we've found more stories that make Provo even scarier. MO: We looked for anything that could be tied to a physical location in the city. We also looked for the histories of Native Americans in the area that fought with the settlers when Provo was being established. Provo has a family-friendly image, but it has some dark history that people often forget, some scary stuff has happened here. What are some of the places you go to on your tour? DF: The creepiest place is the Provo cemetery. There's something about riding your bike through the cemetery in the dark of night that can send chills down your back. MO: We also visit apartments where former mental patients have died. Our ghost detector usually picks up some crazy vibes there. Have you ever encountered a ghost before, or know someone who has? DF: I have many friends who've had unusual encounters that could be explained by ghosts, but my only real experience with a ghost happened in Idaho. My grandma has a cabin up there, and right next door is an abandoned house where an old woman died alone and wasn't discovered for some time. When we were younger, we'd love to sneak into the house at night. One year we had no flashlights and attempted the trip using only candlelight. After spooking ourselves out walking through the abandoned halls, we were heading back when we realized that one of us had left a candle behind. As we looked over at the house, we could see the candle through the window, but the candle was moving from room to room and all of us were accounted for. So instead of retrieving the candle, we ran as fast as we could back to the cabin. MO: My brother Sam has had many experiences with ghosts. He always seems to find himself in haunted situations. He's also had many near-death experiences, so maybe his relationship with the other side is stronger than mine. If I go on your tour this Friday, should I be scared? I've never seen a ghost before, but I have no doubts they exist. DF: There's no need to be scared—we have yet to have a strange encounter with the paranormal. We do bring our ghost detector, though, and have had it go off before. And this is our first Friday the 13th tour, so who's to say that nothing strange will happen this time?